Why fragrance at night? The daytime warmth is still captured in the surface of the concrete walkways as the soil begins to cool down. This combination of temperature change intensifies aromatic plants. Many Mediterranean herbs that thrive with little water in the simmering heat, continue to let go of their fragrances as the sun goes down to help attract night time pollinators. Aromatic herb foliage adds another sensory dimension to the garden. Place plants where they will give the most benefit. Fragrant plants lined or massed along pathways and entries will greet guests. Large puddles and clusters create a strong infusion in the area they are planted. Add groupings of different seasonal fragrant plants near patios and outdoor living spaces. 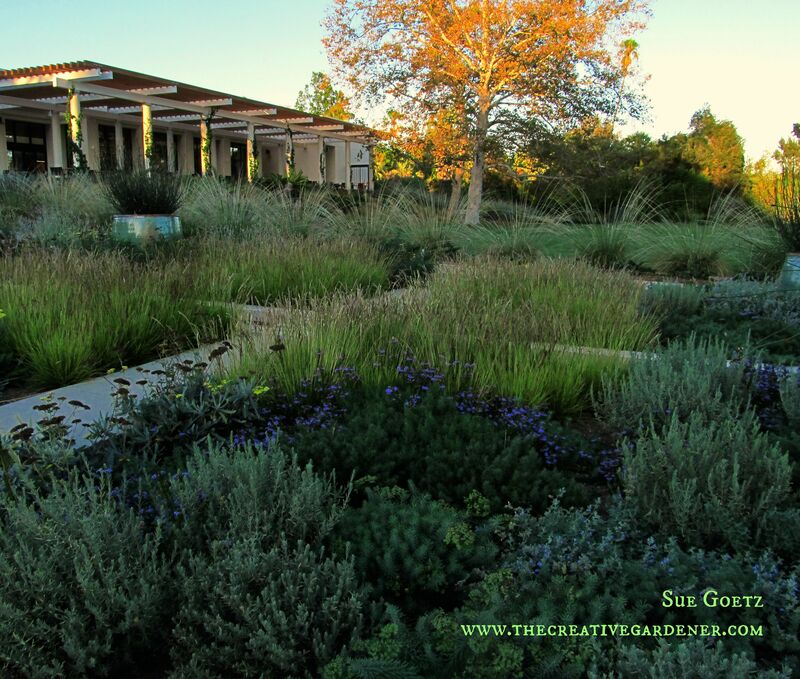 Container gardens filled with aromatic plants can be added to areas where ground planting space is a premium. Next It’s fall and orange is the new green. Beautiful pictures of a beautiful day! I love garden fragrances too!